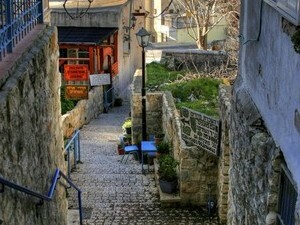 We will begin the tour with a visit to Jaffa and see one of the most ancient ports in the world. We will learn about the place the first Jewish immigrants arrived at when they approached Israeli shore. 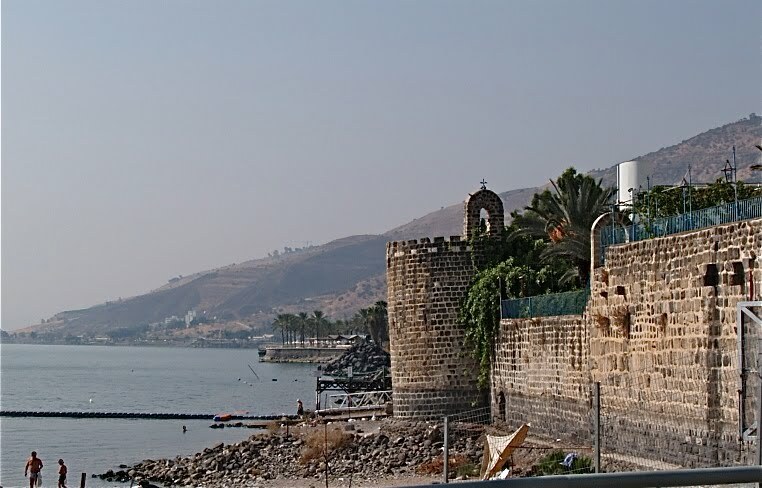 Following this we will travel up north to the city of Tiveria, built along the shore of the Kinneret, near seventeen natural hot springs. 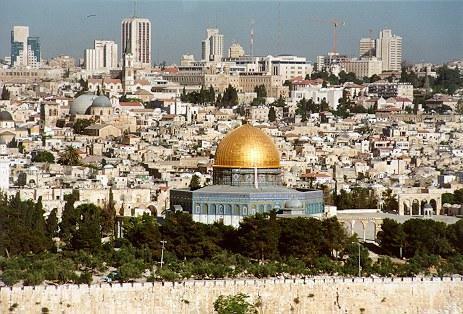 It is considered one of the four "Holy Cities" in Israel. We will begin the day in Tel Hai, a Jewish settlement in northern Galil, the site of the Battle of Tel Hai. Tel Hai is significant due to its influence on Israeli culture, both inspiring an enduring heroic story and profoundly influencing the military of the Yishuv and political strategies over several decades. Continue from there to Tel Dan, a city mentioned in the Bible, described as the northernmost city of the Kingdom of Israel, belonging to the Tribe of Dan. Following this we will meet soldiers of the Israel Defense Force, hear about their experiences, and learn about the reality of protecting Israel's borders on a daily basis. 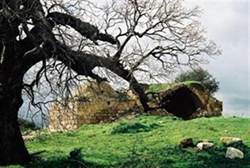 Travel to Katzrin Talmudic Museum where we will see the ruins of a Jewish village from the period of the second Beis Hamikdash and experience ancient life. We will finish the day at Hamat Gader Hot Springs located near the tri-border area where the Syrian, Jordanian and Israeli borders meet. Begin the day in one of Israel's most ancient and holy cities, Tzfat. Today, it is a hub of sprituality, artistic talent and mysticism. You will then have free time and an opportunity to purchase lunch and enjoy the views of the city. Continue on to hike the Pisga Trail on Mount Meron, the highest peak in Israel. Meron is home to kever of Rabbi Shimon Bar Yochai, and a place of kedusha. From there we will travel to Kfar Kedem where we will recreate the day-to-day life of the ancient land through a hands-on experience, and be transported back to the time of Tanach, including authentic donkey riding. Continue on to the last stop of the day at Bet Sherayim, an archeological site and home to the kever of Rav Yehuda Hanasi, author of the Mishnah. Travel back in time and visit the Beit Alfa Synagogue. Nothing is known about the identity of the community that built the Beit Alfa Synagogue. In fact, its discovery was a fortuitous accident. Kibbutz members who were digging a ditch for irrigation stumbled upon it in 1928. 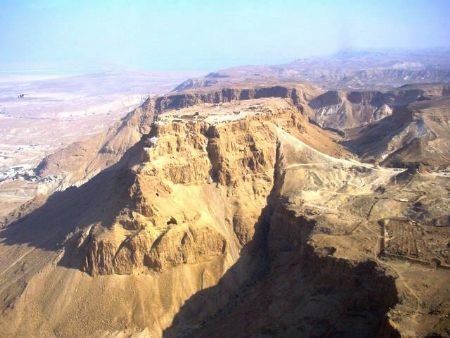 From there we will travel to the Ein Gedi area where we will walk where Dovid Hamelech hid from Shaul and cut the corner of his cloak when he wasn’t looking. We will have the chance to see many animals and plants mentioned in the Tanach and the writings of Chazal and hike along Nachal David with pools and waterfalls to cool off in. 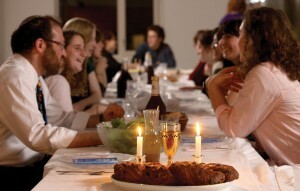 Along the way we will learn about the Jewish communities that lived here throughout history. We will also learn of the mystery of the famous Afarsimon oil that was worth much more than its weight in gold! End the day relaxing and floating in the Dead Sea, the lowest spot on the face of the Earth. You will have plenty of time at the shores of the Dead Sea to bathe in it's mineral rich waters. Dinner and overnight at Dead Sea hotel. We will begin our descent south with a visit to Masada. Ascent the mountain by cable car for an extensive tour of the site which was the scene of the Jewish resistance against the Romans in the year 73 AD. We will then explore the Bar Kochva hideouts– the kids and adventurous adults will get to crawl through underground tunnels! This will be followed by a visit to the Luzit Caves. These bell shaped caves are carved out of soft limestone, and are ancient quarries and hidden places of refuge. 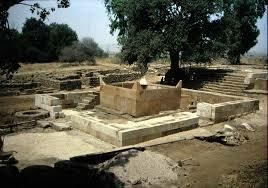 End with a visit the site of the Biblical town of Azeka. From here we will have a view of the battlefield in Emek Haelah where David defeated Goliat! Begin the day with a visit to Beit El, the place where Yaakov dreamt of wheat sheafs and stars bowing down to him. See tefillin being made. Continue to Ancient Shilo, home to the Mishkan for 369 years. See where Eli Hacohen sat, where Chanah prayed for children and where Am Yisrael brough the korbanot. From there we will travel to Har Gerizim where you are able to see Shechem. The very place where Avraham walked, offered up Korbanos, where Yehoshua addressed Bnei Yisrael and where Kever Yosef is. End the day at Machane Yehuda, the vibrant shuk of Yerushalyim and join the Yerushalmim in preparing for Shabbos. Enjoy a special Jerusalem Shabbat. After shabbos your tour bus will take you to the Western Wall Tunnels for a special Yerushalyim night experience. After breakfast we start our tour of Jerusalem with a drive to the top of the Har Hazeitim. From the top of the Mount there is a magnificent view over all of ancient and modern Jerusalem, the center of the Torah world. 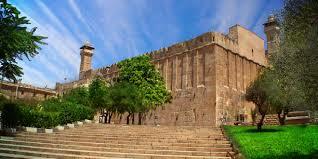 We will visit Ir David archeological museum and the last standing remnant of the Beit Hamikdash, the Kotel Hamaravi. Following this we will go to the Jewish Quater (Rova Yehudi) and The Burnt House; the house of the Katros family, one of 24 priestly families from the period of the second Beis Hamikdash. We will then visit Machon Hamikdash, a site that tells the story of the Holy Temple in words and pictures. A story that spans from the beginning of creation, to the establishment of the Third Beit Hamikdash, as foretold by every navi. End the day at the Kotel Tunnels to unveil hidden sections of the Kotel. Moving through underground passages, ancient trenches and much more. The Kotel’s enormous stones are revealed in full size and magnitude, telling us about the architecture and building practices of different historical eras. Begin the day with davening at Kever Rachel where Rachel Imeinu was buried after she died in Binyamin's birth along the route. Travel to Gush Etzion and visit the Kfar Etzion Museum to learn about the history of the place. It was in these hills in the 1948 War of Independence that Jews sacrificed their lives to help save Jerusalem. View the actual bunker where they hid out and see how their decsendants returned to Gush Etzion to rebuild. Continue on to Me’arat Hamachpela in Chevron to pray at the graves of the Avos and Imaos. Tour the Jewish Quarter of Chevron and visit the Avraham Avinu Shul, the center of the Jewish Quarter since 1540. Visit Beit Hadassah, a building where all of its inhabitants were massacred during the 1929 Arab riots. It was here that 10 women and their 40 children successfully held more than a year long strike to receive the government’s permission for Jews to return to live in Chevron. Drive through Kiryat Arba. The Jewish settlement town built on the outskirts of Chevron. 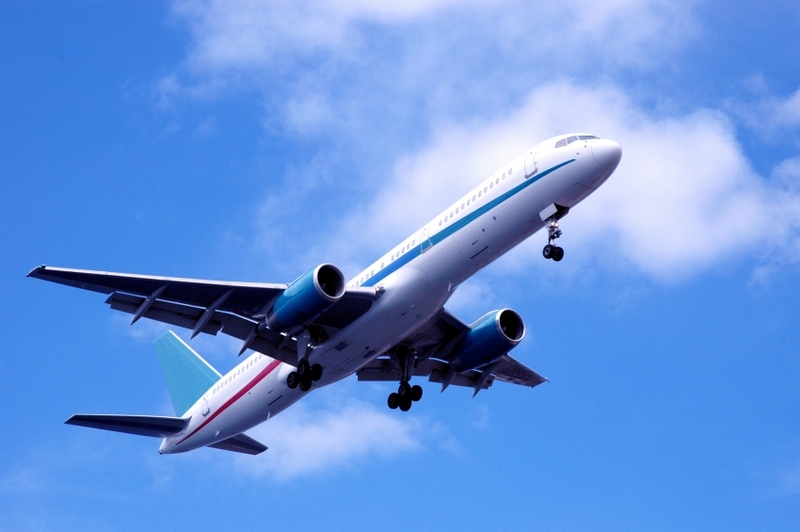 Check in at Ben Gurion Airport for our homebound flight.